Accurate Psychic Predictions: My Reading Was Accurate, The Dates Were Wrong! Everyone would like to know WHEN something they are wanting to happen or waiting to happen will occur. This desire is human nature, one that burns inside us as strong as thirst or hunger. Especially when it is concerning a matter dear to your heart. Who wouldn’t want to know exactly the date when they will meet their true love; or the date when they will marry and have children; or the date when that dream job will be yours. First of all, let’s clarify something about timing and the prediction of a date when your prediction will happen. Let’s put thinking caps on and let’s just try to put aside your burning desire to know the exact date when something will happen. Let’s suppose that you wanted to know if your marriage would end in divorce, and if so, when? Or, when am I going to get married, or which month you will get pregnant. These are all things that many people wonder about. But, do you think that the universe intended for us to know the exact date that something we have a burning desire for will happen? Really, do you think so? Why if a psychic could guarantee the date (or even close to the date), that would change the world in which we live. All we would have to do is call up a psychic and ask them when I am I going to get what I want, and there you will have the answer? No. This is not true. Although I have predicted the dates or come close for many people, it is only possible to get dates or time frames when that knowledge can be known. And, I always inform my clients that if I get a date, I will give you one. So much of what we want to know, cannot be known–dates are one of them. But it is a question in high demand. Just remember that the content of your reading is the most important. Do not fall in the trap of trying to know when what is seen will occur, but if your psychic’s reading is accurate, it is important to trust this information and not focus on exact dates. Focusing on when can confuse you and take you off course. Focus on right action and flow. Making the right choices and flowing with your path. Using those thinking caps, and putting aside your burning desire, it becomes more logical that we can’t know the dates that something is going to happen every time because you will stop doing what it takes to get you from Point A to Point B. You’ll just sit back and wait for it. This is a trap that people who seek psychic advice find themselves in–waiting for the date! When you dwell on a date that you think is guaranteed you change the natural flow of your rhythm and if you think that sitting around waiting for a desired outcome is going bring you results, the opposite is true. In fact, when you get psychic information, it is best to let it go and put it out of your mind. The information ideally should be digested or assimilated to help you make your best choices, not enmeshed in attempting to control the timing of your fulfillment because your desires may require certain factors to be in play in order to manifest. In other words, the Universe is not going to allow us to desire something and expect that we can have the exact date it will happen unless all the factors necessary to bring it about are in play and this knowledge can be known. Some people, especially those who call network psychics (who try to represent that they can tell you everything), have this sense of entitlement when it comes to knowing everything including the date when the prediction will happen; and feel resentful when that exact date finally arrives and they were wrong! Is the psychic wrong when the date is not exact? A psychic can only give you an impression and if they are skilled,they will immediately know they are not getting exact timing at the time of your reading. And you should be told this. Always keep in mind that we are all here for a specific purpose and your life is a mixture of disappointments and fulfillment and the course a life takes is dependent on your choices and the consequences of those choices. My advice to people who think that they can have a guaranteed date or guaranteed accurate psychic prediction when something will happen is to take more responsibility for the outcome of your situation and ask your psychic if you are on the right track and if you, based on your energy at the time of your reading, are prepared to fulfill your desires in the desired time frame. Ask what you can do or should be doing. Life is not about entitlement, it is about meeting our obstacles with strength and wisdom, and walking through. Your psychic is your guide, but you are at cause when it comes to making what you want to happen manifest. It is such a great feeling to know that you are making things happen in your life rather than passively sitting by “waiting” for something to occur. Happiness is knowing you are prepared to meet life’s challenges and in tune with the rhythm of your own path and flowing with it. This is beauty of life. So don’t get it mixed up. Psychics are not here to guarantee your future and date stamp it, but to reveal it to you and inform you that you are indeed on the right track or to help you find your way. When it is time for you to know when, you will be provided that information. Respect your real professional psychic‘s skill, honesty and integrity in informing you what can be seen and what cannot. Cherry Sage has been providing accurate psychic readings since 1999. She owns and operates one of the top quality psychic web sites on the internet today. Her main focus is authenticity, honesty and integrity. 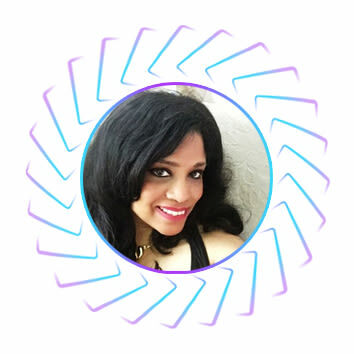 One of her missions is to make sure that everyone looking for real accurate psychic readings or tarot card readings will be able to find certified authenticity and quality service–to change the existing “imitation” psychic paradigm. 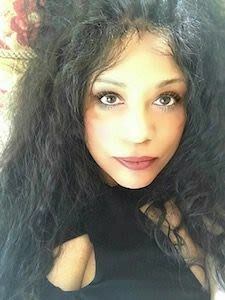 Her many followers trust in her advice and her accurate psychic predictions. 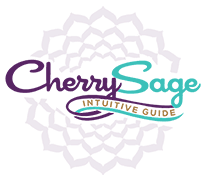 You can read hundreds of inspiring testimonials on her website at http://www.cherrysage.com. So true! I was hoping and praying for a loved one to come back to me and called psychics constantly. I lived two years of my life waiting for their timeframe to occur. Finally, I gave up out of exhaustion and also seeing that he had moved on with another woman. I opened my heart to another man, and when he left, I called psychics asking if he’d return. But I was so burnt out with psychic dates and predictions, that I only wrote down what they said halfheartedly, and promptly forgot what they said. I got over him quick, but lo and behold–he came back! When I looked at my notes…..a whole bunch of psychics got the date right!!!! They got either the exact date or a day before or a day after. One got the exact time of our reunion — 5 p.m. on the dot. So, it’s true you have to give it up, let it go completely, not care anymore, and bingo, things will start to happen. It’s just the way the universe works. We have to accept that. Lorraine, thanks for the post!! Is it giving up or giving in? When we release our desire to control events that we have no control over, the Universe takes over. By giving in through exhaustion, you are releasing it to the “higher forces” at work in your life. The universe does not want us walking around thinking we have a guarantee. You actually can move timing farther out by focusing on a particular date. I’m so happy that things eventually worked out for you. I have found that when told a specific date, your thought energy can fluctuate the rhythm energetically. It is not spiritually sound to know the exact date that something we are wanting to happen will occur exactly. So not thinking about it will bring it about in its own time, but dwelling on it changes the timing, almost every time. Think of it like this. If you throw a pebble in a pond you see ripples emanating from where the pebble fell. Think of your thoughts as the pepple that can have a ripple effect on your energy. Where thoughts go, energy flows. And when we are talking about something that affects you personally, your thoughts will effect that very thing. So try putting it out of your mind. We are not entitled to know the exact dates when we will have what we want. Psychics are not people who are here for you to know the dates of your gratification. People just ask because sometimes psychics see future events. So people naturally think they can know certain things about their future on demand. It just doesn’t work that way. If you get timing, it is a gift not an entitlement. You can only ask, but you will not always receive an exact date or timeframe.